Looking for a Hucrest home? Check out this custom ranch style w/open beams thru-out. 2 steps down to ex-lg LR w/fireplace. Wall of wdos could allow for passive solar. Dining area has built-in BBQ. Lots of newer fixtures. MBA has tile surround soaking tub + stall shower. All appliances included. FA gas heat & cent a/c. 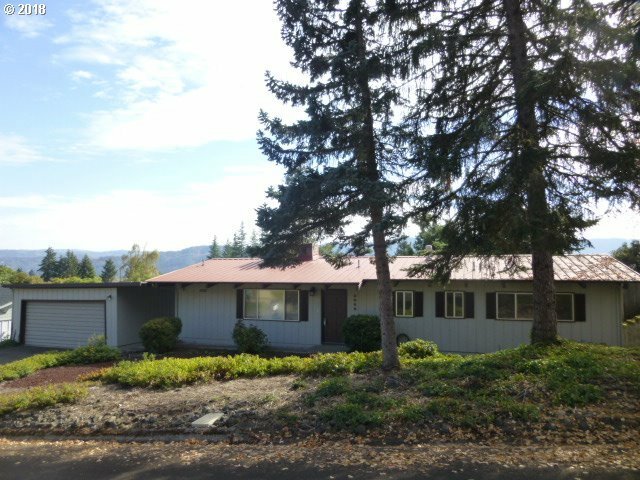 Large rear, south facing deck w/views of tree covered hills. Low traffic street & pleasant surroundings.